The contentious issues of public housing, the future of Canberra Stadium and dog attacks are the first to come under the spotlight in a new public consultation website launched this week by the Canberra Liberals. The new www.haveyoursay.net.au website asks Canberrans to tell the Canberra Liberals what they think about issues affecting the city. Issues canvassed to get the initiative started include whether a new stadium should be built in the city, what should be done to protect people from dog attacks, and whether there is support for the Government’s public housing development plans. The website also gives people the opportunity to suggest issues to be covered or to bring specific problems to the attention of the Canberra Liberals. 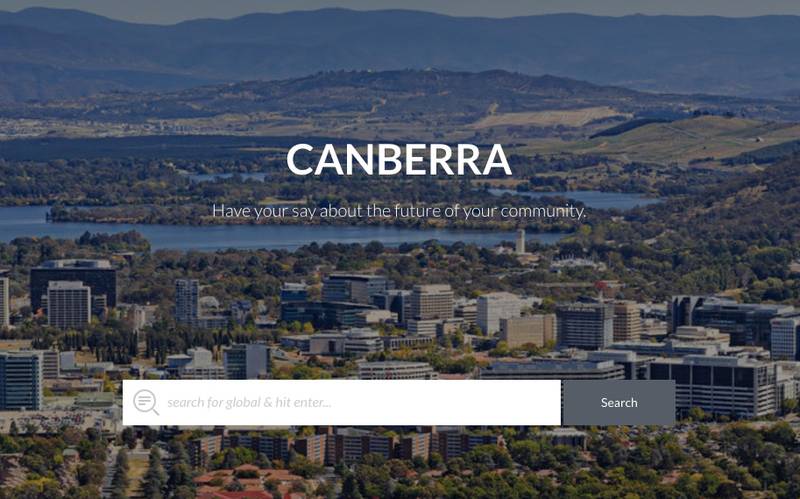 ACT Opposition Leader Alistair Coe said the new website will provide another way for Canberrans, particularly those who are time poor, to interact with the Canberra Liberals and have their say about issues of concern. He said it would also allow the Canberra Liberals to consult more broadly on issues and thereby assist with policy development ahead of the 2020 ACT Election. “The new website will allow Canberrans to suggest issues that the Canberra Liberals should consult or follow up on, have their say on issues that the Canberra Liberals are already pursuing and allow people to raise concerns with the Canberra Liberals confidentially,” Mr Coe said. Mr Coe particularly took aim at the Government’s plans to relocate public housing tenants from Northbourne Avenue to several suburban sites as part of a “salt and pepper” approach to public housing. “If only Andrew Barr and the ACT Labor/Green government had consulted on issues like public housing, residents across several suburbs wouldn’t be dealing with the mess they’re currently in,” he said. The Canberra Liberals maintain that the designated sites are not near the public facilities, employment opportunities and community support services that many public housing tenants rely on. On the website, they ask Canberrans to let them know whether they support the government plans and whether there is a specific site their comments relate to – namely Chapman, Greenway, Holder, Mawson, Monash or Wright. There is also room for comments. On the topic of the Canberra Stadium at Bruce, the website asks Canberrans about their experiences attending matches at Canberra stadium and whether they think the stadium should be replaced. They are also asked what improvements they think could be made to the current stadium in areas such as parking, seating or food. With the issue of dog attacks, the website states that the Canberra Liberals are very concerned that not enough is being done to protect the public. It cites Government figures which show that in 2016 there were 360 reported dog attacks, 155 presentations to ACT public hospital emergency departments due to dog attacks, and 124 dogs seized by officials as a consequence of dog attacks. Visitors to the website are asked to let the Canberra Liberals know about any experiences they have had with dangerous dogs in Canberra and how they think the problem should be addressed. Is there any point raising issues with the Liberals, who won’t have any power to make changes? Last year there were a couple of instances where the Liberals were leading the public policy debate, and Labor later substantially copied Liberal policy. Expanding the Canberra hospital was one and there was at least another one I can’t remember the detail of right now. If making suggestions to the Libs helps them develop better policy, then some of it may be copied by Labor even if the Libs don’t win government and implement it themselves. Tinkering around with WordPress for a couple of hours, adding in a cookiecutter theme and a few plugins: Tends to result in a low quality website. Can this site be taken seriously when viewed alongside http://www.yoursay.act.gov.au? I suppose its a matter of resources. The ACT Govt has access to much more resources and money to make http://www.yoursay.act.gov.au look and function better. Is there actually any point in the Liberals? They will be eternally in opposition and they appear to be happy there. May has well retire them and save the Territory millions of dollars. It would help pay for the trolley folly.